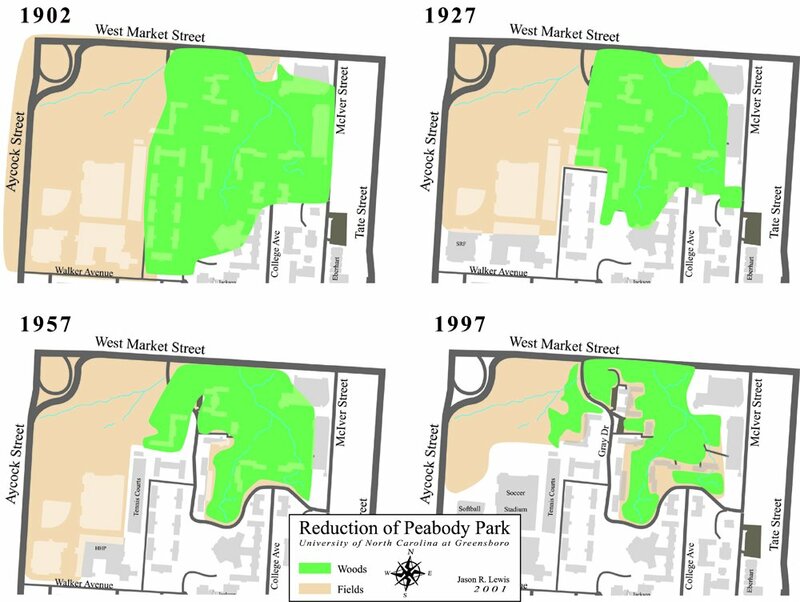 THIS SERIES OF MAPS, drawn by Jason R. Lewis of the UNCG Geography Department from early surveys and aerial photographs, shows the reduction of Peabody Park from 1902 to 1997. Since the Park was established in 1901, large sections of both the woods and the fields have been lost to University construction, and by 1997 only 34 acres remained, half of it woods and half fields. Reduction of Peabody Park at the University of North Carolina at Greensboro, 1902–1997. Map by Jason R. Lewis, 2001.